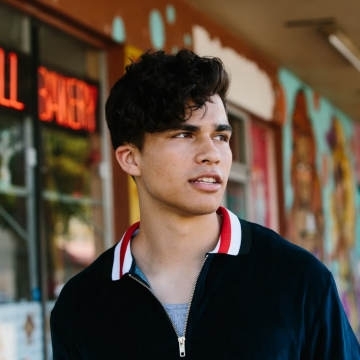 Arizona raised singer, songwriter, producer, and multi-instrumentalist Alex Aiono had already started amassing a following in the millions by the time he was 19 through touring, releasing his own independent EPs, and producing and rearranging unique “flipped” versions of popular songs on YouTube. Revealing soulful vocals, effortless charisma, and flawless production skills, it was Aiono’s viral take on Drake’s “One Dance” that exploded--receiving over 66 million views. With over 867 million YouTube views to date, the now 23-year-old is gaining more traction recording and releasing new songs, new mashups and videos through a variety of outlets to engage a social fan base following of 5.9 million YouTube subscribers, 2.3 million Facebook followers, 2.4 million Instagram followers, and nearly half a million Twitter followers. To follow up his sold-out winter 2018 North American Feels Like Tour, Aiono is launching what will be his fourth headlining tour this spring called the FUN23 TOUR.